Hours: Monday through Friday from 8 a.m. until 5 p.m. Administrative policy requires that all patrons picking up items in Interlibrary Services must show a University ID (Bearkat OneCard). Newton Gresham Library's Interlibrary Services allows users to request materials from other libraries through Interlibrary Loan. 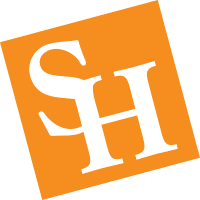 The Interlibrary Services office also provides Distance Learning Services to off-campus students and provides book and article delivery for SHSU faculty through Faculty>Direct. If the Interlibrary Services office is closed when you come to pick up a book, you can ask for assistance in Copy Services, which is part of the Interlibrary Services department. Copy Services is located in Room 141, just opposite from the Interlibrary Services office. Read more about the available Copy Room services and pricing.